What is a Stock Split? Why companies announce Stock Split? 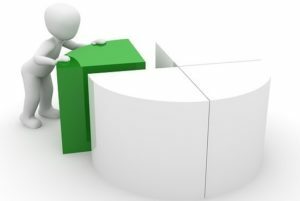 A stock split is a corporate action which splits the existing shares of a particular face value into smaller denominations so that the number of shares increase, however, the market capitalization or the value of shares held by the investors’ post-split remains the same as that before the split. of Rs. 4000 million. The true value of the company hasn’t changed. An easy way to determine the new stock price is to divide the previous stock price by the split ratio. In the case of our example, divide Rs. 40 by 4 and we get the new trading price of Rs. 10. If a stock were to split 3-for-2, we’d do the same thing: 40/(3/2) = 40/1.5 = Rs. 26.60. As it is clear now what is a stock split, let’s see why companies take this action..Generally, there are mainly two important reasons. As the price of the stock gets higher and higher, some investors may feel the price is too high for them to buy, or small investors may feel it is unaffordable. Splitting the stock brings the share price down to a more “attractive” level. In our earlier example to buy 1 share of company ABC you need Rs. 40 pre-split, but after the stock split the same number of shares can be bought for Rs.10, making it attractive for more investors to buy the share. This leads us to the second reason. Splitting a stock may lead to an increase in the stock’s liquidity since more investors are able to afford the share and the total outstanding shares of the company have also increased in the market.